Roasted beetroot and mustard dressing - home cooked food delivered. 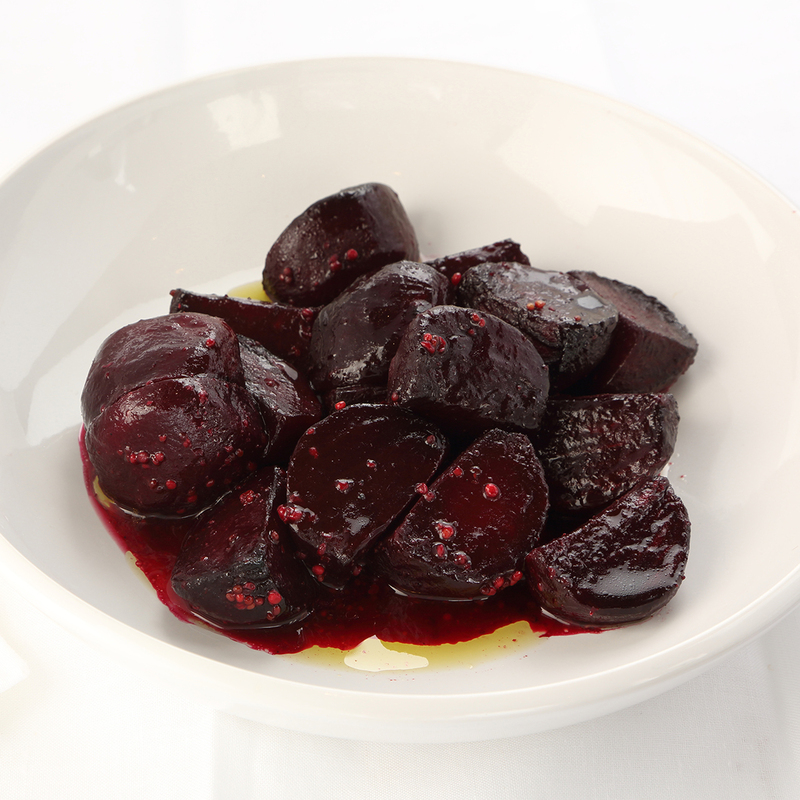 Wonderfully wholesome chunks of roasted, ruby red beetroot, with a delicious glaze of wholegrain mustard. This unique and delightful accompaniment will bring a touch of the unexpected to liven up any dish you choose to pair it with. Beetroot, caster sugar, olive oil, wholegrain mustard (MUSTARD), seasoning. Remove contents from packaging and place on a baking tray in a preheated oven at 180c for 10-15 mins or until piping hot.